One of the experiences I love most about travelling solo is encountering the kindness of strangers. It’s something I always encounter whenever I travel solo and have done since I started travelling alone in 2002. That isn’t to say that strangers are only kind when I am alone. I perhaps notice it more and maybe even appreciate it more, when I am alone, especially if I find myself in a difficult situation and there is no-one I know who I can turn to. 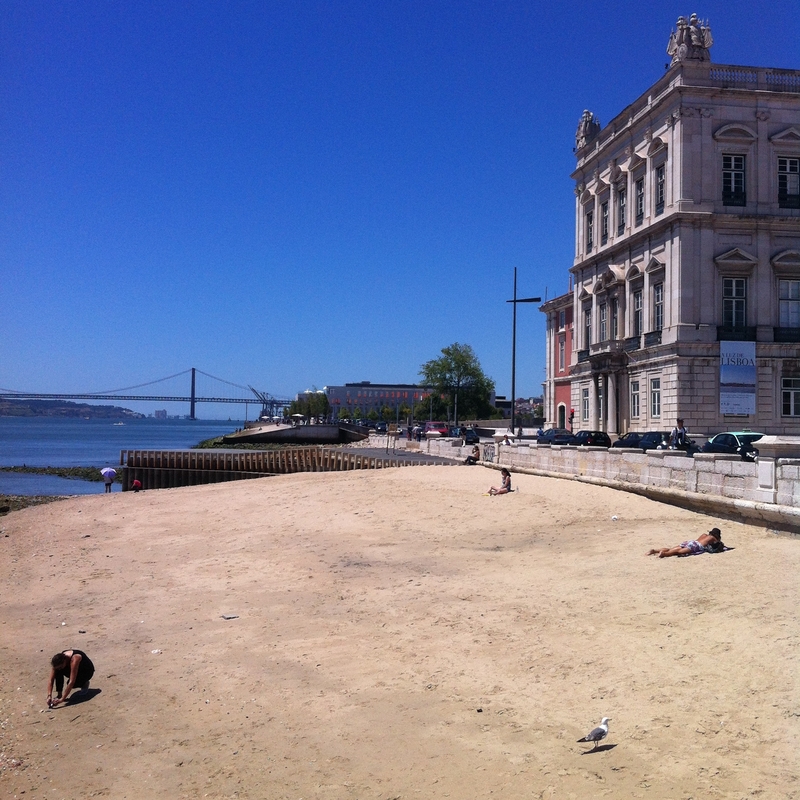 Last month I travelled to Lisbon where I experienced kindness from a number of strangers. One in particular stood out though and I’d love to share that story with you; the story of the woman at the beach. 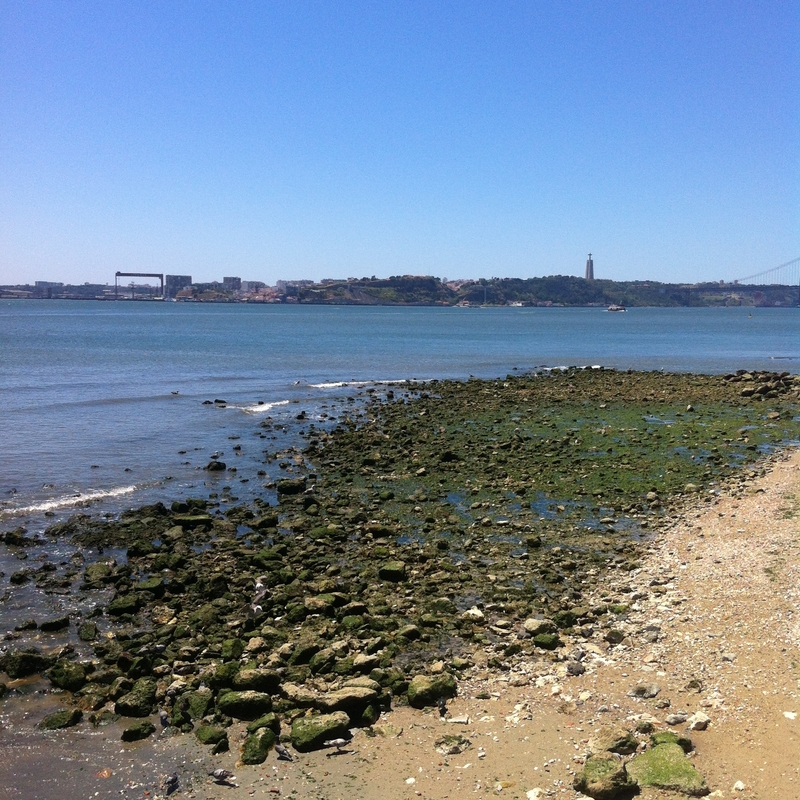 Whilst waiting for the keys to my Airbnb apartment, I decided to wander through the city and found myself in front of the River Tagus (Rio Tejo) where I found a small and near-empty beach. It’s not often I get to a beach but I love to be near water, even better if I can be in the water, and I had some time to kill. So I grabbed my airline cabin case and found myself a nice spot. One of the great things about travelling solo in a place where no-one knows my name, is that I really don’t care what other people think! 😀 I’m sure it might have looked a little odd to others, but what’s a girl to do? 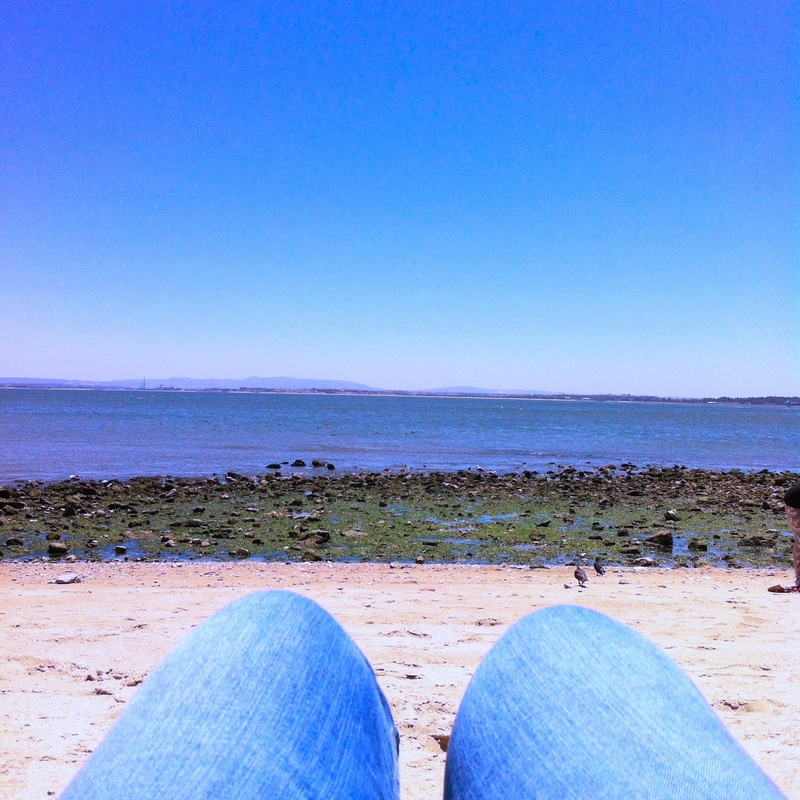 I wanted so badly to laze on the beach for half an hour or so, to feel the sand between my toes and the sun shining down on me. My vitamin D levels have been quite low for some time, so this seemed like a great form of therapy. Yes, my GP would no doubt approve. I didn’t want to get my new case covered in sand though, so I placed it on my freshly washed travel towel, used the case as a headrest, rolled my jeans up a little, laid down and enjoyed the moment. 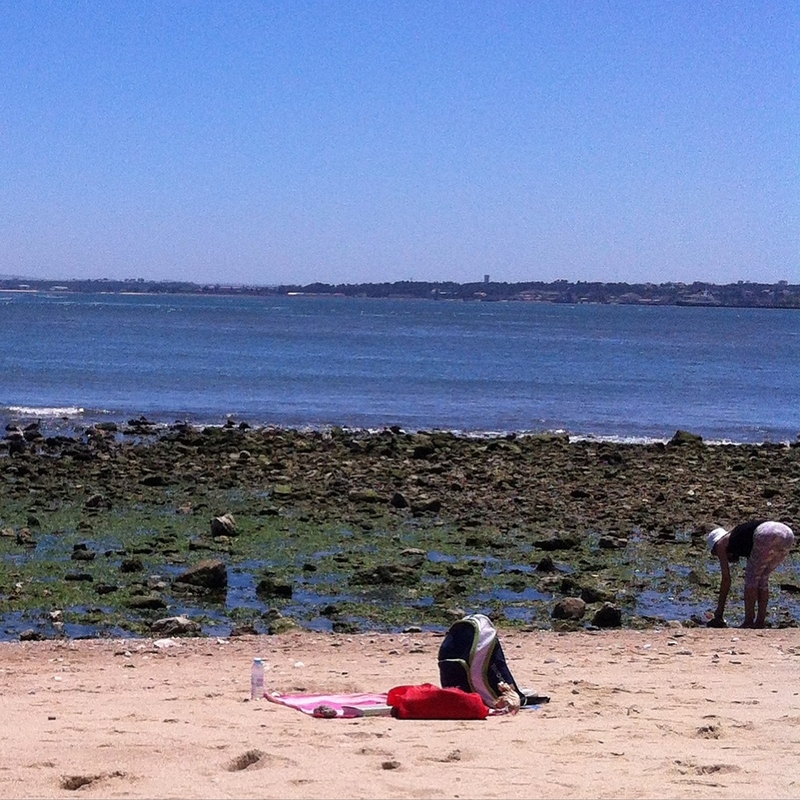 Soon after, an older Portuguese woman arrived at the beach and set up her place away from me, closer to the shore. After a while the woman decided to approach me; sun lotion in hand, she was clearly offering me hers. I had absolutely no idea what she was saying. Neither of us spoke the same language. I recognised some words and concluded she was from Portugal. I tried to thank her and explained I have some sun lotion and reapplied mine. The woman appeared to understand me, we smiled and she wandered off, back to whatever she was doing. I liked this older woman though, she was kind, friendly and a little kooky, so I watched her for a moment and cheekily took a photo. I already knew I wanted to remember meeting her. I noticed her go to the water, where she was bending down to fill her bottle. I smiled to myself and then went back to reapplying my sun lotion and day dreaming about the adventures ahead, as I waited for my friend to arrive later that evening. A few moments later the woman was stood over me again. Water bottle open, she made a gesture to pour the water over my legs. I felt it would be rude to say no, so I allowed her. She was very sweet. She then poured water on my arms and gestured that I cup my hands so she could give me water to pat on my face. I guess my pale white skin was looking quite pink. We talked for a while. This was amusing considering the language barrier but despite that, we somehow managed to share where we had previously travelled. It was fun watching this energetic older woman use her arms to symbolise an airplane! 🙂 Just like a parent though, she cautiously reminded me again that I should reapply my sun lotion every 15 minutes! At least that’s what I think she said. The woman wandered off and I expected that was the end of our brief encounter. To my surprise, she returned a third time with shells in her hand, which she had collected for me to use to make a necklace! Through body language she explained I had to be careful when placing holes in the delicate shells. She spoke as well, but I still had no idea what she was saying. We thanked each other (she appeared to appreciate our conversation and interaction) and then it was time for me to leave the beach and collect my keys. I’d stayed a little longer than planned and the mid-afternoon heat was causing me to long for the cool air conditioned apartment. We said our goodbyes, we didn’t even exchange names and that was the last we saw of each other. I was so grateful for her warmth and kindness though and will never forget her. The kindness of strangers: what’s your experience? It’s such a wonder feeling to be on the receiving end of kindness from a stranger whether you are travelling or not. It restores faith in humanity, especially if you have had a bad experience, and if it happens during solo travel, it’s a good reminder that we are never really alone, there is always someone out there, willing to help and look out for us. Equally, it is good to pay it forward, by showing kindness to others. Have you encountered kindness of strangers during your travels? Or better still, have you been that kind stranger? I would love to hear your stories, let me know in the comments, below. Oh, she sounds so lovely! Definitely one of the best parts of solo travel is the people you meet. Haha absolutely, always reapply sunscreen 🙂 She was brilliant, really kind and a lot of fun. Thanks for stopping by and commenting Nikita.